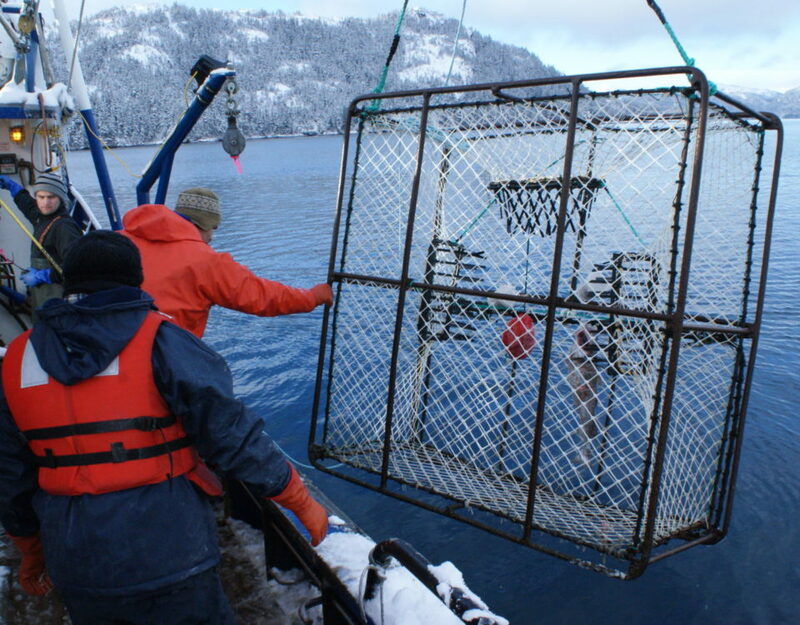 As part of the Herring Research and Monitoring (HRM) Program, a collaborative group of scientists from Prince William Sound Science Center, Alaska Department of Fish & Game, US Geological Survey, and the University of Washington are studying the Pacific herring (Clupea pallasii) population of Prince William Sound (PWS), Alaska. 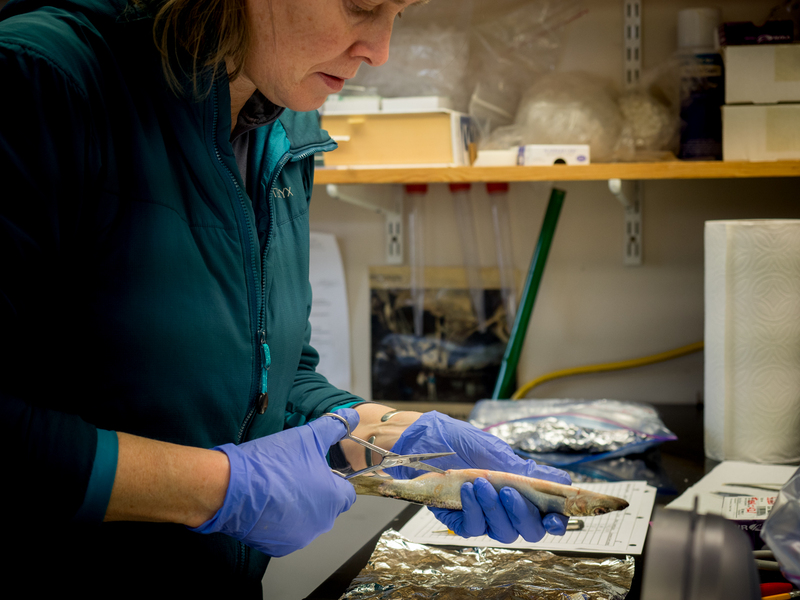 The Herring Research and Monitoring (HRM) program, supported by long-term funding through Exxon Valdez Oil Spill (EVOS) Trustee Council, is designed to improve predictive models of PWS herring stocks through observations and research. A coordinated project between the HRM program’s population modeling component and a project investigating age at reproductive maturity among PWS herring may eventually inform the model on population dynamics of PWS herring. Management of the Pacific herring population in PWS relies on a stock assessment model that predicts annual spring biomass. The model-forecasted quantity of herring is based on many parameters, and is used by fisheries managers to set harvest rates. 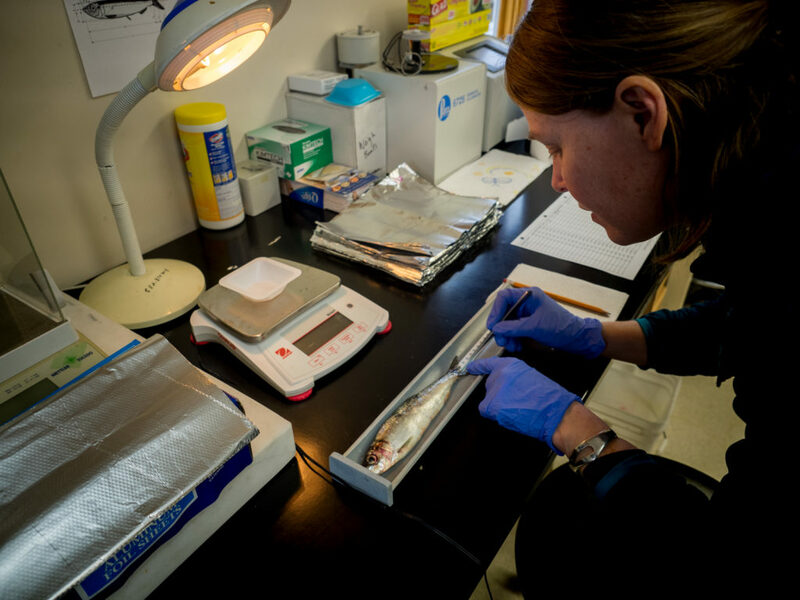 On-going research aims to refine the PWS herring assessment model. To this end, one important factor estimated by the model is a reproductive maturity schedule for PWS herring, which is the proportion of reproductively mature fish between three and five years of age. 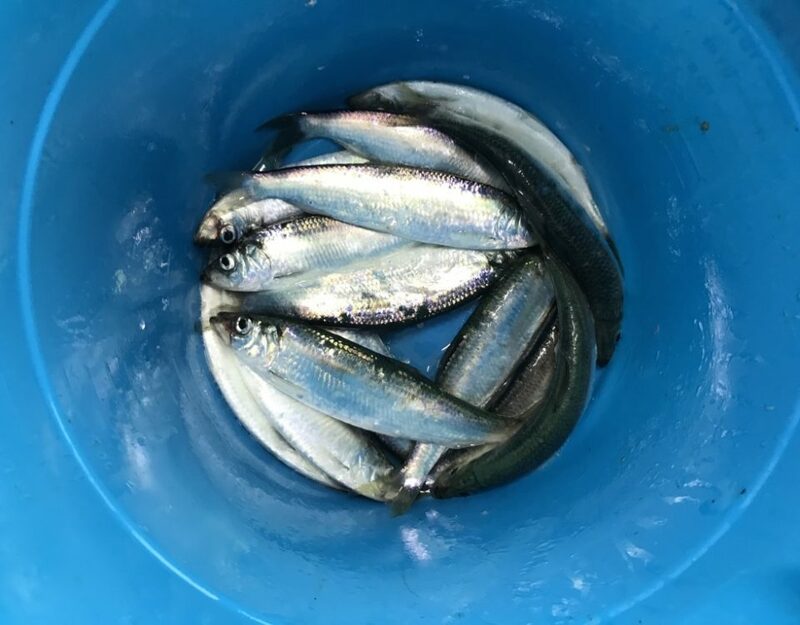 A new study that began in 2017 is testing the PWS herring assessment model’s reproductive maturity schedule using data from field captured adult herring. Currently, the assessment model’s estimated maturity schedule indicates that 49% of age 3, 90% of age 4, and 100% of age 5 herring are mature. How well these proportions actually fit the current population is not well understood. Over the last year, adult herring were collected during spring spawning (April 2017 and 2018), late summer (September 2017), and early winter (November 2017) primarily from the Gravina region of PWS. 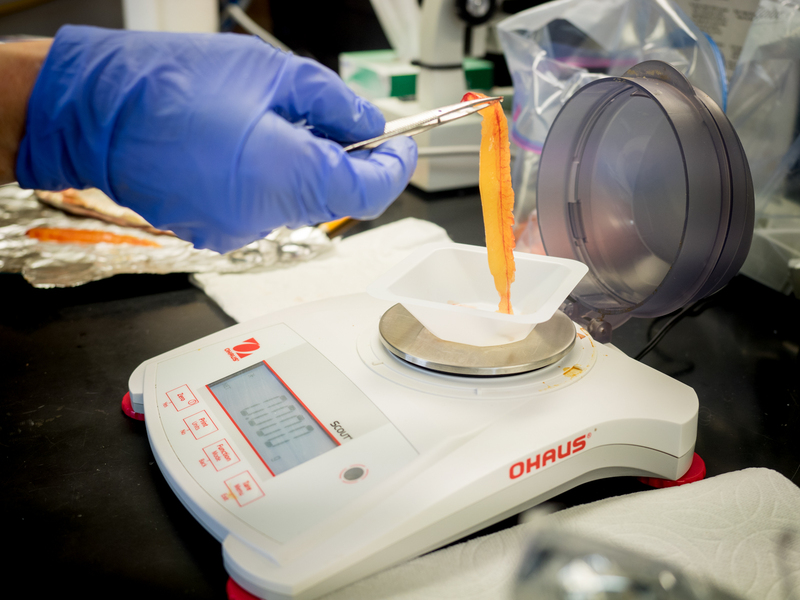 Fish scales were retained for aging, and measurements of fish length, weight, and gonad weight were obtained to develop a reproductive maturity index based on the ratio of gonad weight to body weight scaled as a percentage (gonadosomatic index). Gonad maturation is also scored using the Hjort index, which is a series of eight stages that qualitatively describe herring reproductive maturity throughout the annual cycle. Further, the ovaries of female herring are biopsied for histological analysis, which provides detailed information on the maturation state of ovaries, i.e., is there evidence of developing ovarian follicles, post-ovulatory follicles following spawning, or is this sample from a completely immature female? Data produced by the age at reproductive maturity project will immediately provide information regarding the proportions of reproductively immature and mature Pacific herring across age groups of interest. These proportions will be compared to the PWS herring assessment model and will allow researchers to understand how well the model estimates these population parameters. Eventually, researchers hope to use the data to inform the PWS herring assessment model, but this will require large, consistent data sets to ensure reliability. Finally, researchers are working to further assess whether annual scale growth can be used a proxy of reproductive investment, as was suggested by preliminary work funded by EVOS Trustee Council. It’s an exciting, but somewhat dubious time to be a herring researcher in PWS. Long-term funding provided by EVOS Trustee Council is a fantastic opportunity to examine both applied and basic ecological questions of a key food web component. 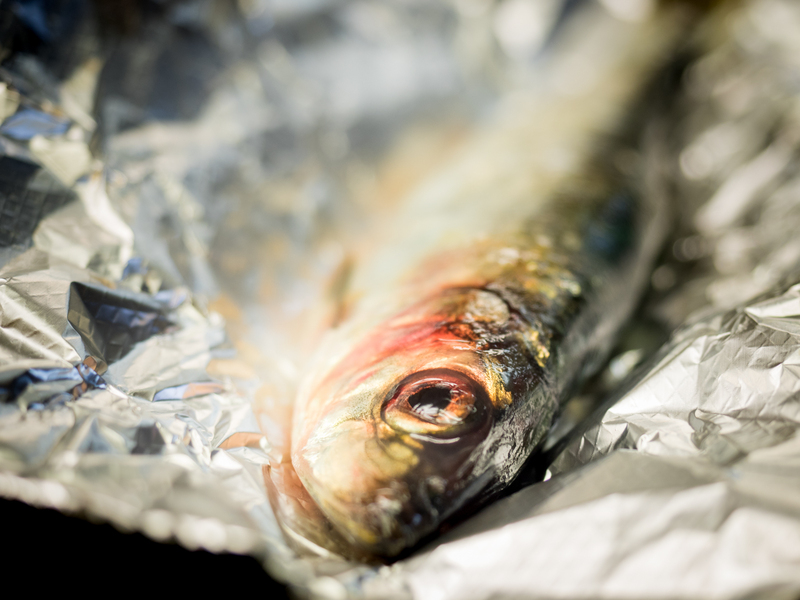 However, with the herring population reaching historic lows in terms of spawning biomass in recent years, it’s unclear how long fish will remain available to study into the future. 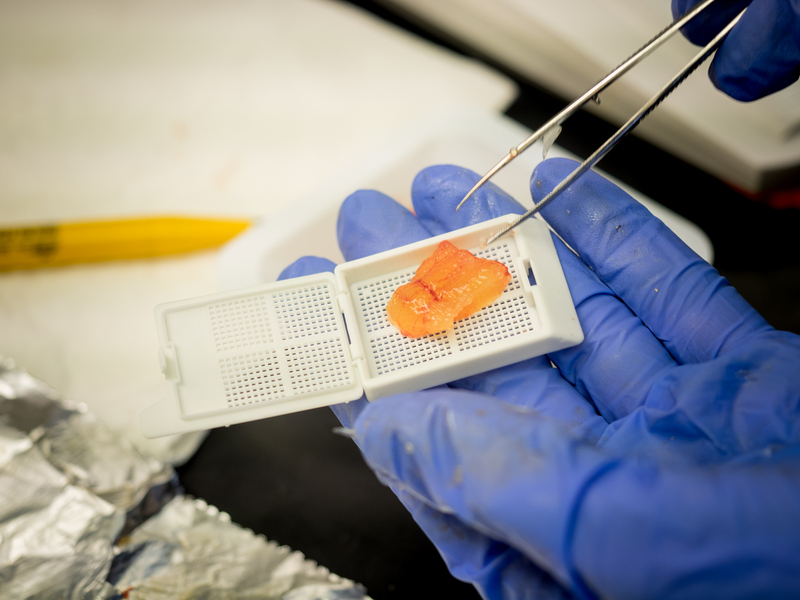 Dr. Kristen Gorman measures fish length and weight before placing the fish in a labeled piece of foil to be dissected in the following data collection steps. 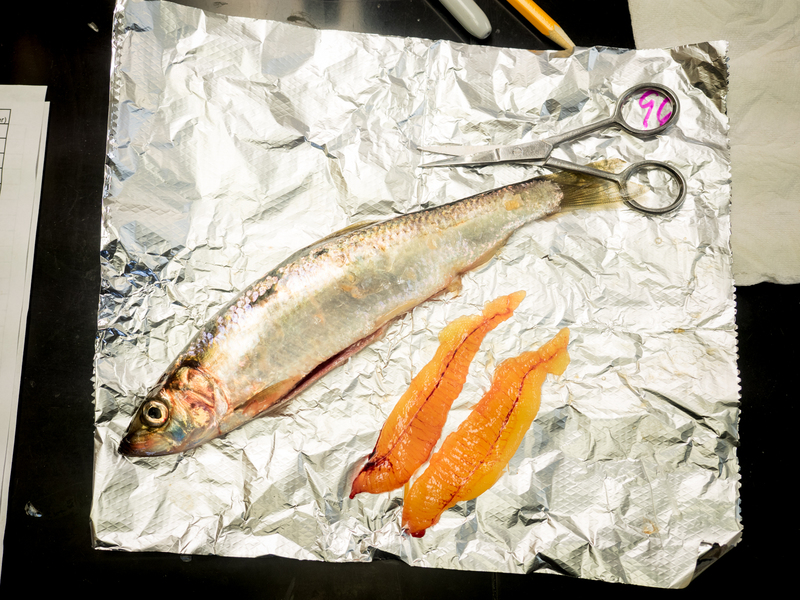 After measuring, weighing and assigning a number to the herring, Dr. Gorman cuts the herring open and removes the gonads. 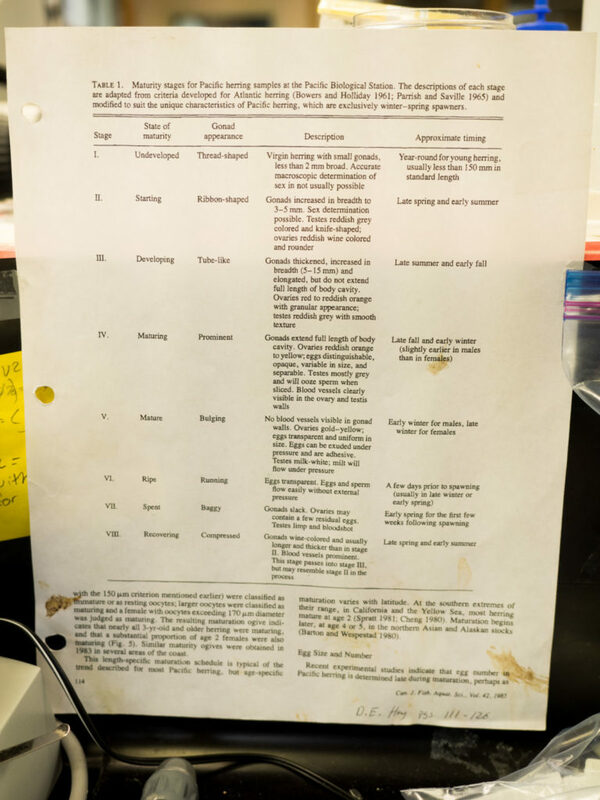 Dr. Gorman uses three different methods to measure gonad maturity. Gonad to weight ratio, visual criteria from the Hjort index, and detailed histology measurements for females. Gonads are weighed and compared to the full body weight of the fish for the gonad to weight ratio. A fish that is not reproductively mature will have invested less in gonad development. Fish are visually compared to the Hjort index. The Hjort index is a series of eight stages from undeveloped to recovering from spawning. Each stage has detailed descriptions of the gonads during that stage along with approximate timing in herring’s annual cycle. 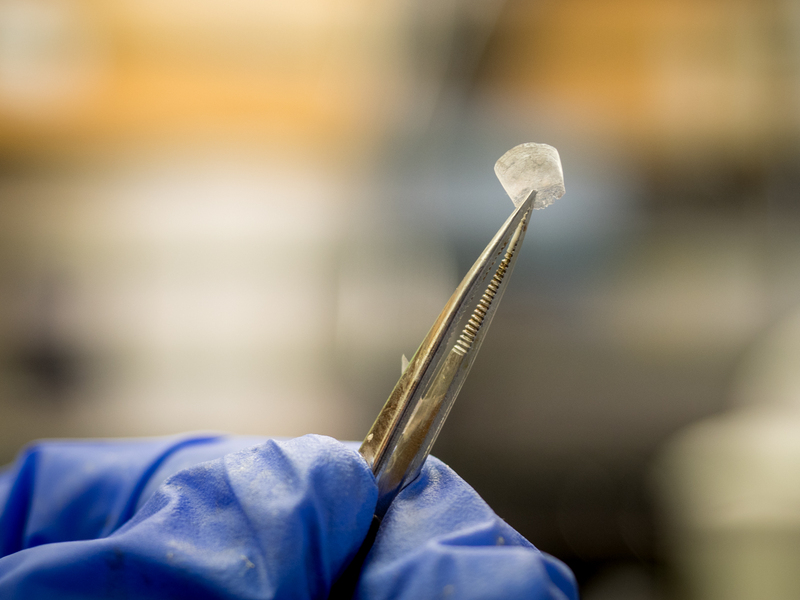 Tissue samples of herring ovaries are labeled and stored in formalin, which preserves the tissue, to be sent to a lab on the east coast for a histological analysis of their maturation state. This technique gives a very accurate reading into the reproductive state of the fish. 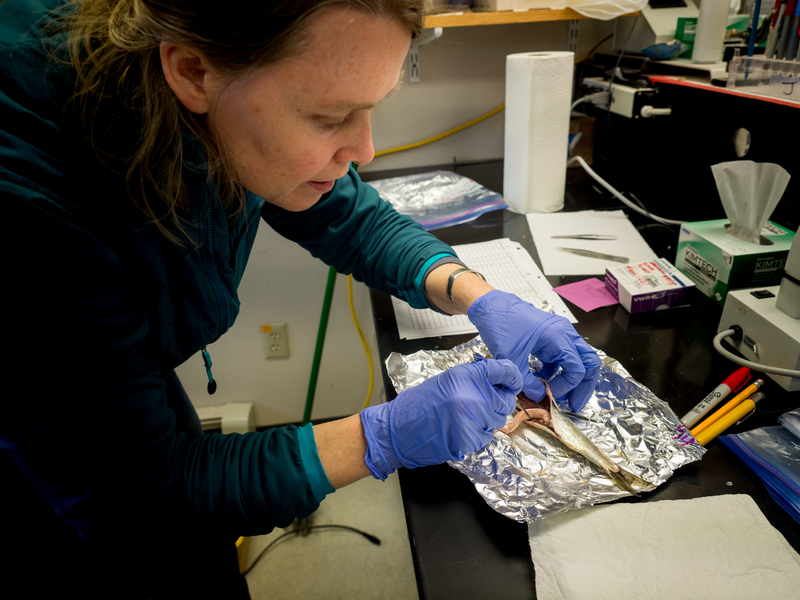 The results of Dr. Gorman’s research aim to inform the herring population assessment model used to manage the Prince William Sound Pacific herring population. 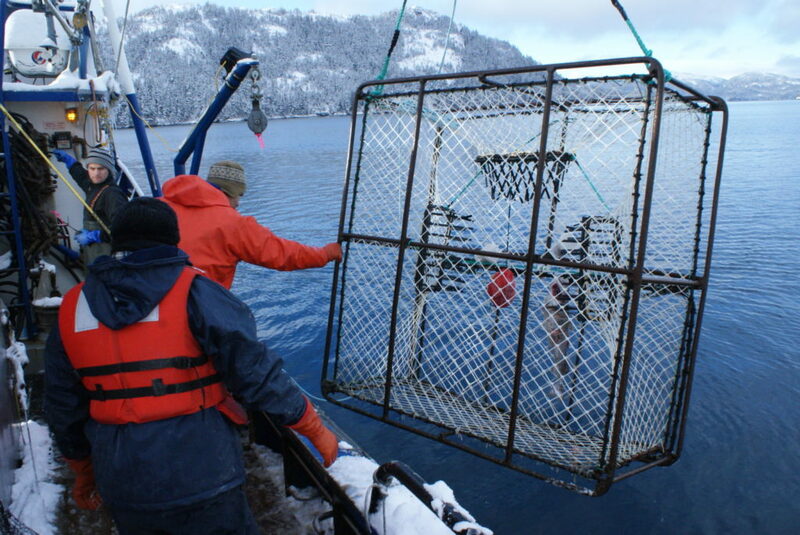 Dr. Mary Anne Bishop’s research team brings in a ground fish pot containing a cod for tagging. 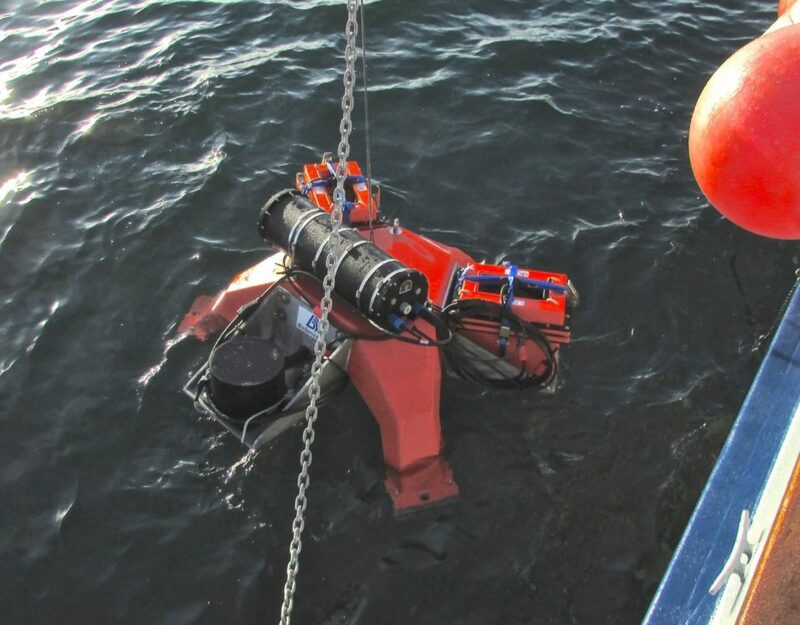 The team used both pots and longlines to catch Pacific cod for the project. 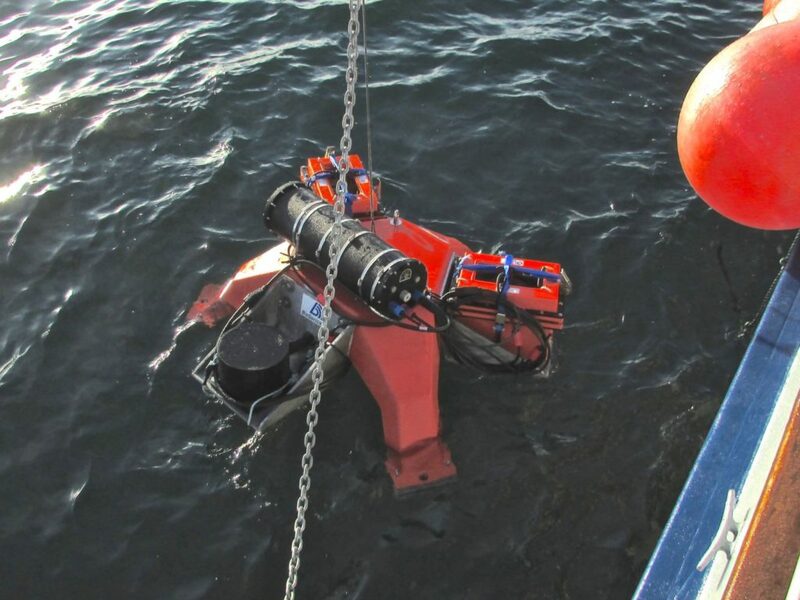 The "Spider" pictured here is the autonomous sonar system that Pete Rand used for his study.